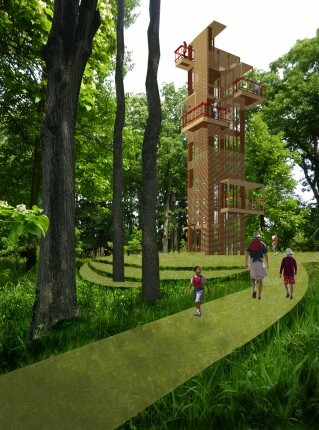 Tree Adventure Area: Architectural and site design for the 14-acre site to provide a tree canopy and ground-level experience balancing natural features with built structures. 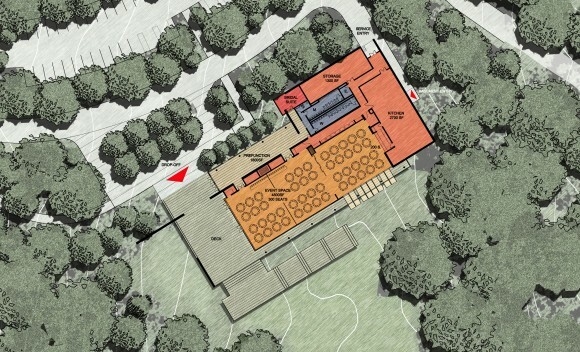 Events Pavilion: Design for a rental facility to accommodate 400+ people, a kitchen, restrooms, and storage. 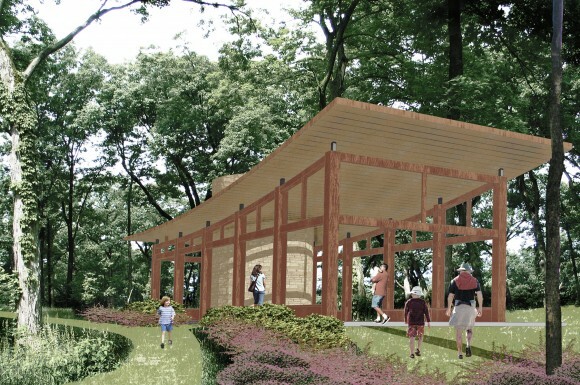 Trees of the World Area and Visitor Station: Site, architectural, and interpretive design to showcase the Arboretum’s diverse tree collection. South Farm Maintenance Complex: Architectural and site design for the new sustainable facility for staff offices, shops, and storage. 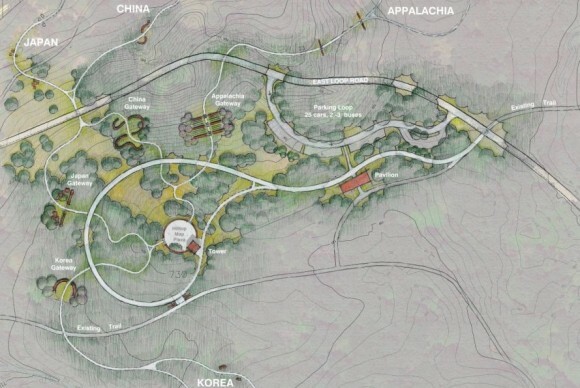 Main Entrance Enhancement: Site and landscape design along Interstate 88, IL Route 53, and the visitor arrival onto the Arboretum grounds. 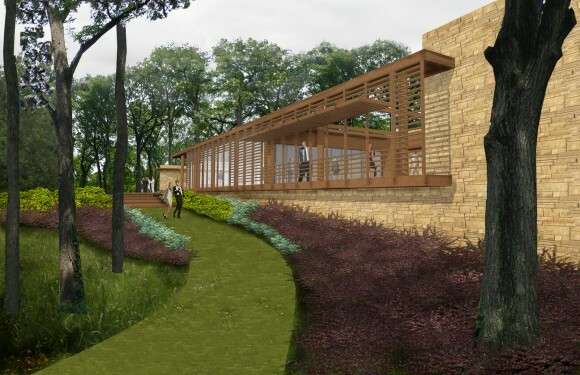 Children’s Garden: The re-design and enhancement of landscape, interpretive, and architectural feature for the 4-acre garden. West Side Parking Expansion: Site and landscape architectural design for a sustainable permanent parking facility and pedestrian bridge.